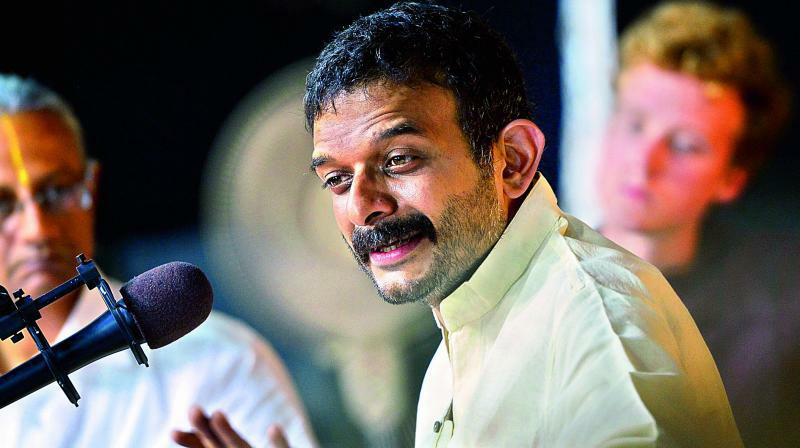 Chennai-born Carnatic vocalist T.M. Krishna, who is among this year’s recipients of the prestigious Ramon Magsaysay award, in an e-mail interview from Russia with B. Kolappan speaks about the honour and his ‘rebellion’ within to take the art form to the masses. The award is normally given to an outstanding social worker. Now they have chosen a musician and your work taking Carnatic music to the masses has received international recognition. What do you feel about that when locally there are not many takers for your work? How do you think the award will help to carry forward your mission? I think this recognition is more than just about Carnatic music. It is about unshackling art from man-made ghettoes. You say “there are not many takers” to my work. And there are many who are doing wonderful work. I must also acknowledge all the support I have got from musicians whenever I have asked for their participation. People may disagree with my approach but I know there are many who have silently been participants in whatever I have been attempting. As far as future goes, I will continue to do, say and sing the music I believe in. There is a large untapped potential among many communities, including Isai Vellalas, traditionally devoted to music. They need advanced training to reach the heights of the music world, an exclusive domain of upper caste. How do you plan to reach them? Yes. I agree that there is a great deal of untapped talent in the Isai Vellalar community and here I also think there is a need to bring back the nagasvaram and tavil into the regular kutcheri circuit. I do have some plans for this; let us see how they pan out. Dalits are another community performing music in the State. Have you been able to attract Dalit students? What will be your future plans? Can’t you run a school to promote the talents from other communities? I do not until now have a Dalit student, but Sangeetha Sivakumar and I have begun a project of teaching Carnatic music in Chennai’s corporation schools and I do hope that through that we can tap some talent. And both to the talent in the Isai Vellalar, Dalit or any other community, there is a need for a mentorship programme. I know a lot of people who learn the basics and then have no where to go. They do not know how to approach a musician and there are so many caste-related barriers that restrict both sides. I am thinking in those lines and I do hope I will have the support of many musicians for this. It is generally claimed that whatever you are doing is only symbolic not really reaching the larger society as the majority section remains indifferent to classical music. What do you have to say? I am not doing this because I believe that Carnatic music must become as popular as film music. Let us face it; this is not going to happen. Everything need not be huge in numbers. But I believe there must be open access to Carnatic music for all. And I mean the possibility of being touched by it without any fears and limits that society has placed on it. This includes the obvious external ones, but more critically the deeper psychological inhibitions that restrict people from entering the enchanting world of Carnatic music. Your intentions might be good and genuine. But even among the upper caste only a minority takes to Carnatic music. How do you motivate the people at large? I think there are enough takers of Carnatic music among the community that practises the art. The amount of talent that we are seeing today is unbelievable. Again please do not make the mistake of measuring art’s relevance with the number of people practising it. Please realise that every art form need not have millions practising it, but as people who celebrate the art form we need to try and reach as diverse a section of people as possible. Let me make one thing clear: I do not regard Carnatic music to be some kind of a temple into which Dalits and other marginalised people have to be given entry. Not at all. I hold it to be a house of grace, of majesty, with many rooms in it that have remained meaninglessly locked up and are becoming musty. They need to be opened up to people who have the interest and the right to use them and who, I believe, also have a contribution to make to their greatness. That is all I am interested in.